Today we said YES to a lot of things in trying to follow our spiritual guru in the church of Nihilism Jim Carrey. 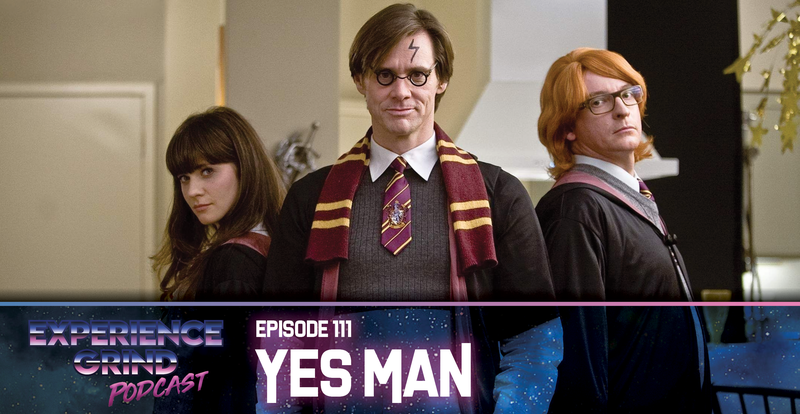 One of the things we said yes to was watching his 2008 RomCom “Yes Man” we are joined on this episode by the always lovely and pleasant Michelle who has accepted the position of “Experience Grinds Jim Carrey Correspondent” and who has loved this movie from the first time she saw it. We have a lot of fun talking about it and of course many other tangents so wont you be our Manic Pixie Dreamgirl and make our dreams come true by listening to this episode?